What snacks should you be looking out for? 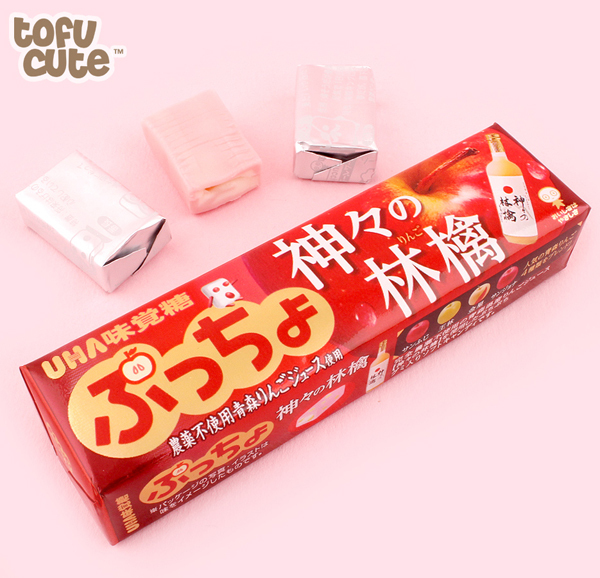 We're always adding new snacks to our selection at Tofu Cute, in fact, we pride ourselves on having a constantly changing selection of delicious treats. 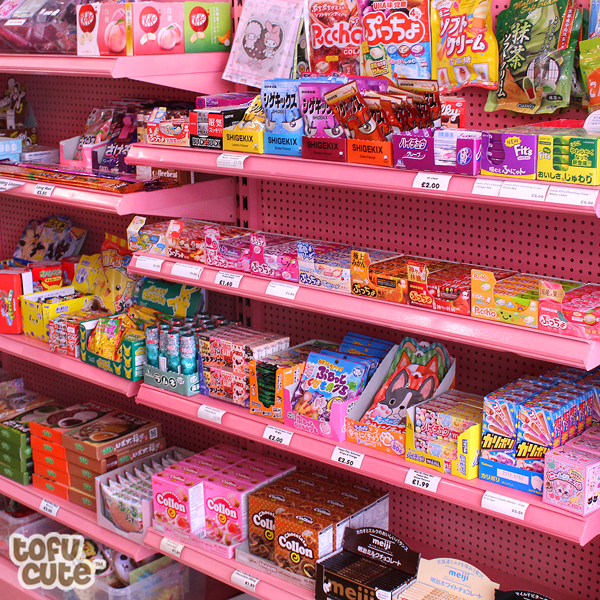 With everything from chewy sweets to crunchy chocolate biscuits and everything in-between, the selection of snacks from Japan and Asia at Tofu Cute can be simply overwhelming! 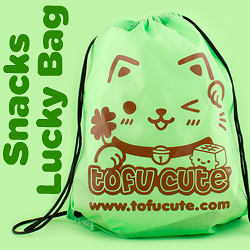 But do you even know what the latest is in the world of Tofu Cute snacks? You might. But if you don't, don't worry, we're here to tell you all about it! You thought you escaped the allure of Sakeru Gummy, didn't you? You thought that you could forget all about the delicious texture and taste of long man after you had devoured enough of the grape, melon and peach flavours to last you a lifetime. But you were very wrong indeed, because Sakeru Gummy is back. Maybe you're already salivating at the very thought of a brand new flavour of Long Long Man. Maybe instead you're confused, because you still haven't yet been enlightened about what Long Long Man is. 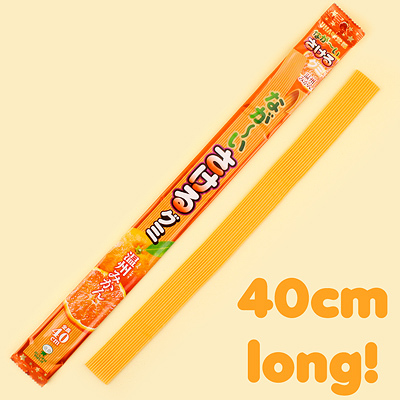 The Sakeru Gummy Long Man experience involves a soft strip of gummy candy that's over 40cm Long, easily living up to its name in terms of length and absolutely bursting with flavour. 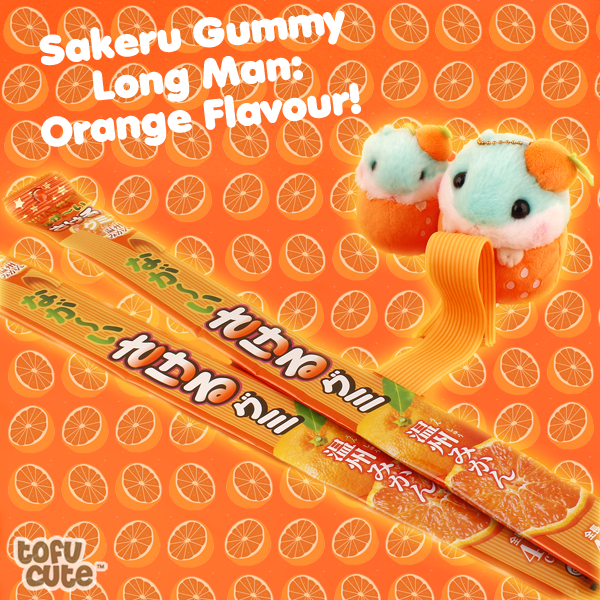 If you've already tried the grape or melon flavours, this new Orange type of Sakeru Gummy will be very familiar to you in terms of texture and size, but completely different in taste. 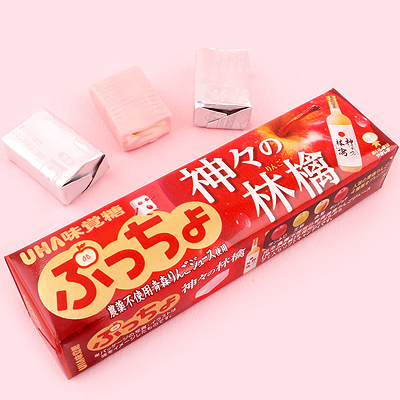 It offers a very subtle but juicy orange flavour, and is well worth a taste if you're a Sakeru Gummy veteran or completely new to the world of Japanese snacks. 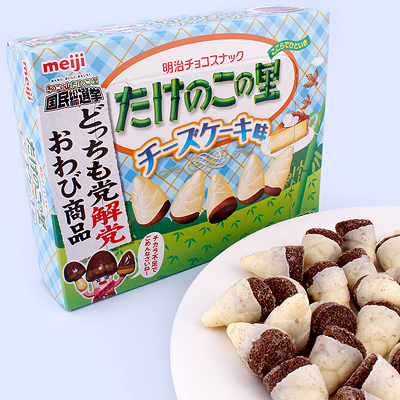 This question has caused controversy throughout Tofu Cute history and divided people into two camps based on their preference for Meiji's two types of chocolate biscuit snack: Kinoko No Yama (mushrooms shaped chocolate biscuits) & Takenoko No Sato (bamboo shoot shaped chocolate biscuits). Regardless of which team you're on, there's a new treat for you. 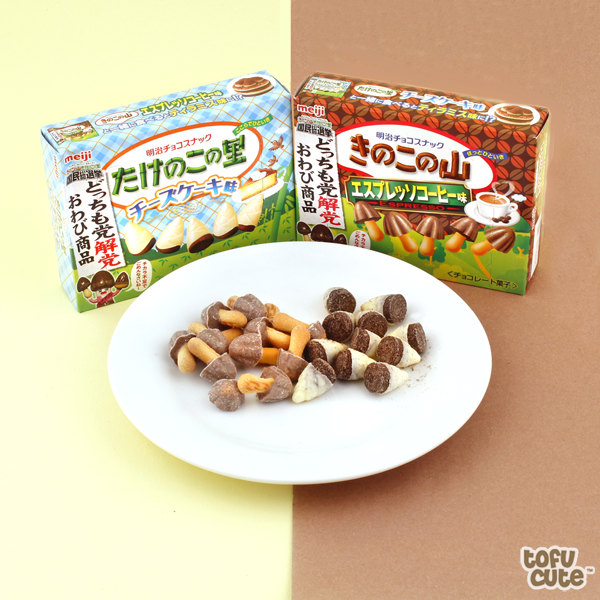 There's new flavours of both: Espresso Flavoured Kinoko No Yama & Cheesecake Flavoured Takenoko No Sato. 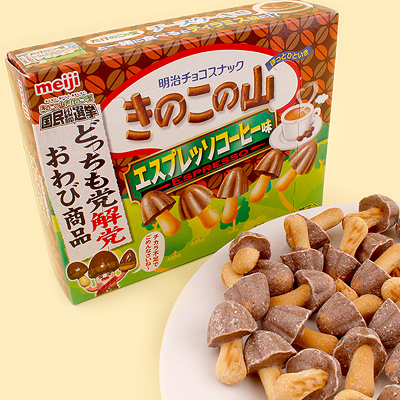 These two sweet flavours are delicious new iterations of Meiji's biscuit treat, and they go great together - could this finally end the war of Team Mushroom Vs. Team Bamboo? The Espresso flavour of Kinoko has a rich flavour that coffee drinkers will love - it blends well with the smooth milk chocolate of the mushroom cap which contrasts with the crunchy pretzel biscuit stalk. The Cheesecake flavoured Takenoko on the other hand have a very crumbly biscuit base which is coated in a thick layer of light cheese-cake flavoured white chocolate. They're both excellent, even if I'm biased towards one of the teams (In the interests of objective fairness, I won't disclose which team here). The appeal of this next new snack isn't necessarily in the snack itself, which is definitely good, but it's been out-done by the presentation surrounding it. 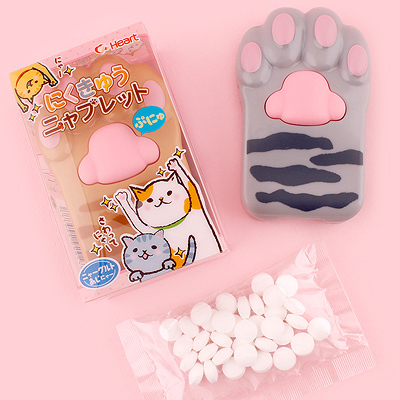 This Nikukyu Nyan Paw Tablet Candy Dispenser is a cute cat paw that will help you dispense some adorable yoghurt flavoured candies. 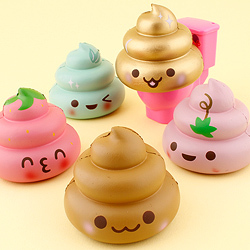 If you're a cat person, then these Nikukyu Nyan Paw Tablet Candy Dispensers are a fun thing to have. 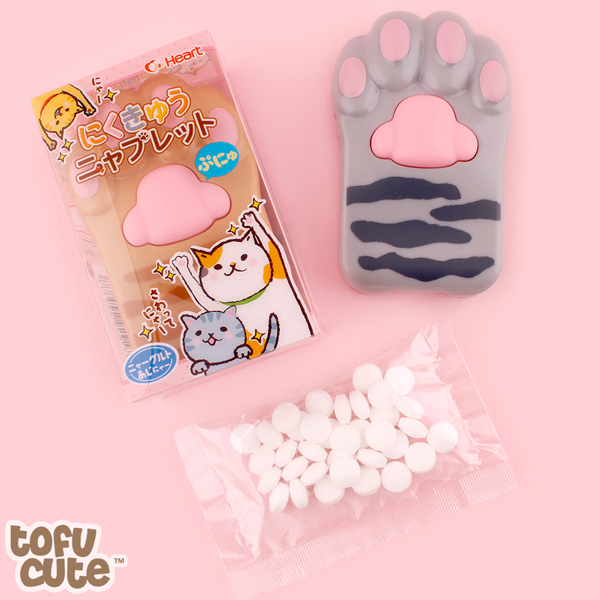 The centre paw pad has a super soft & squishy texture that is a vibrant pink and a super cute squishy like they come in three different types including Calico, Tabby & Grey Tabby - you'll get one at random, but they're all super cute! You may be familiar with our extensive range of cute kit kats from Japan. But did you know that we recently re-stocked a lot of different kit kat flavours, and added some new ones? 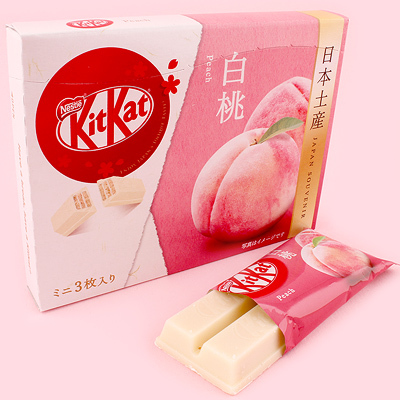 Because of sheer amount of regional and seasonal flavours of kit kat that come and go in Japan, the kit kats we have available are always changing, but this brand new 'White Peach' flavour is a treat for the senses that makes that unpredictability worthwhile. This wonderfully presented set would make a great gift as it contains 3 small kit kats in this new flavour. 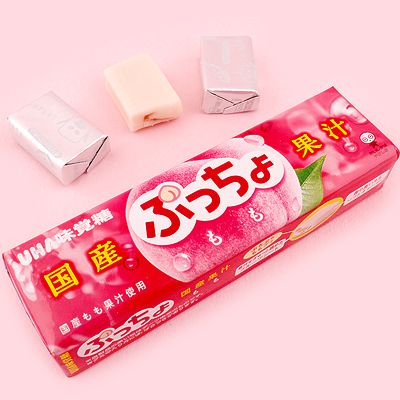 The flavour itself is delicate and sweet, reminiscent of a juicy peach straight from Japan. This flavour is blended with a tasty white chocolate, coated on top of a crunchy wafer biscuit. 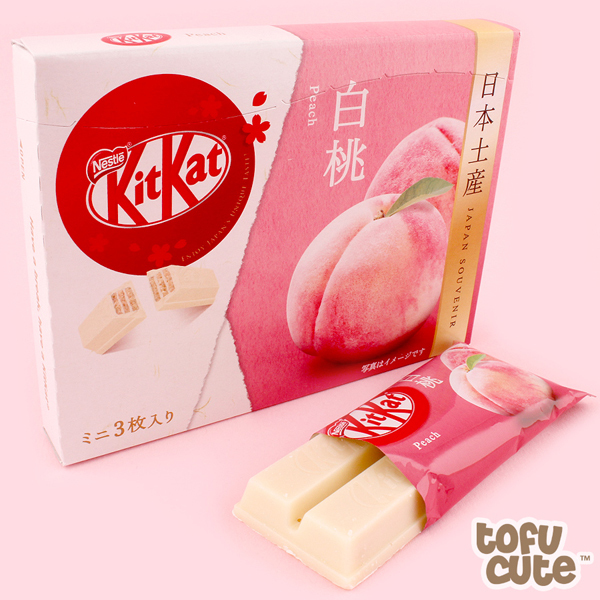 It's the kit kat you know and love, but extra peachy! It wouldn't be a blog about snacks if I didn't mention how amazing puccho is. 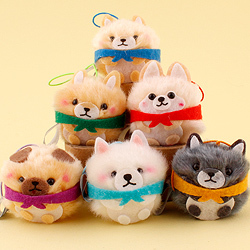 If you're still on the fence about puccho for some reason, now's a great time to pick a flavour, because like with kit kats, we've re-stocked plenty of them. This brand new Imperial Apple Juice flavour contains a blend of three different apples in an exciting blend of the iconic fruit. 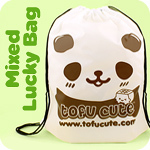 They retain the classic puccho texture, chewiness & portability. Is there more that needs to be said? It's a new flavour of puccho, and puccho is always delicious. What do you think of these 5 new snacks? Have you tried any of them? If so, what do you think? 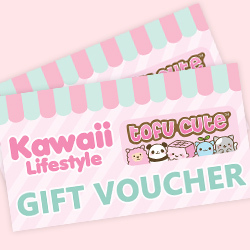 Feel free to let us know on Facebook, Instagram and Twitter and don't forget to react to this post to gain some free tomodachi points! Next Article >> Every Japanese Kit Kat Flavour, Ranked!